The index opened flat and stayed in a narrow range for the initial few hours of trade only to see dip towards the lows of the day at 8849. The responsive buyers took control from there onwards to move the index back in green and close strong at 8937.75, gain of 15.10 points. The broader market though was negative, with 729 advances to 760 declines. Developing Range as per Option Table stays at 8500-9200. Call option 8900-9300 added huge 13.77 lacs OI with profit booking seen at 9400 and above strike prices. Put option 8900-8300 added huge 10.65 lacs OI with profit booking seen at 8200 and lower strike prices. 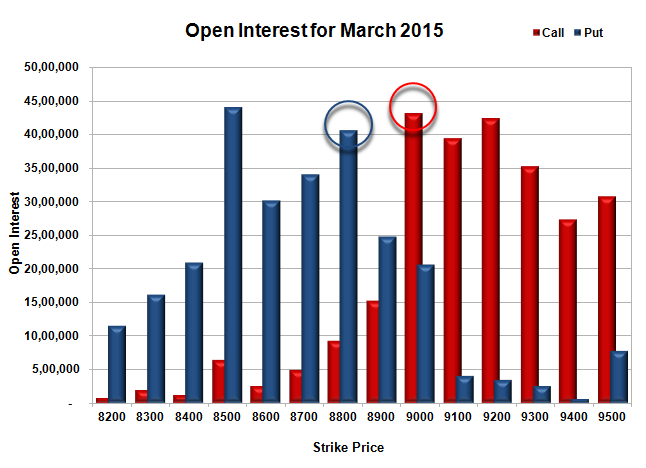 Nifty Open Interest is at 2,60,84,250 down by 8,09,600, with increase in price, most probably huge short covering. 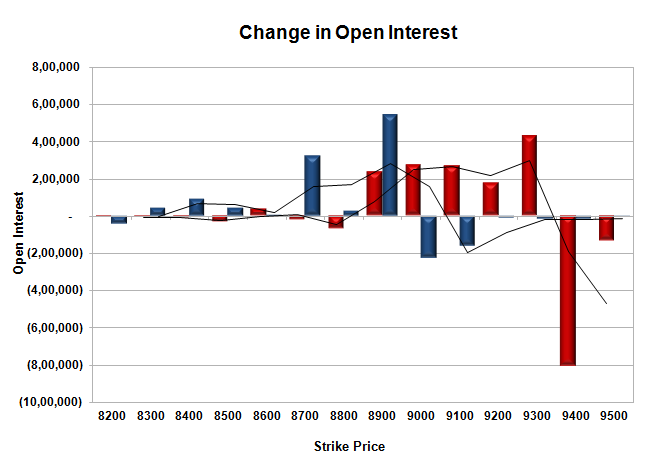 Bank Nifty Open Interest is at 23,29,750 up by 1,05,025, with increase in price, most probably huge long build-up. FII’s sold 0.75 lacs Futures, which includes 11546 contracts long liquidation and 8543 contracts short covering, with decrease in net OI by 20089 contracts (includes 61012 longs to 64015 shorts for the day) and the Average Price comes to 9107.61. FII’s Index future open contract as on date is 870663 Longs to 95017 Shorts, net long 775646 down by 3003 contracts. Initial support now at 8900, with OI addition of 5.44 lacs and below that at 8800 with huge OI of 40.55 lacs. Initial and best resistance at 9000, with OI of 43.16 lacs and above that at 9100 with OI of 39.41 lacs. 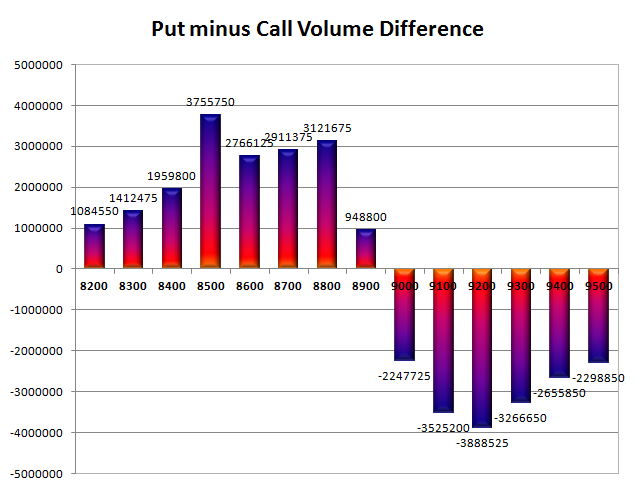 Day Range as per Option Table is 8832 - 9008 and as per VIX is 8870 - 9005 with 8915 as the Pivot.